Based on lectures first delivered in Oxford in 1974, The Decline, Revival, and Fall of the British Empire, commands sustained attention today. 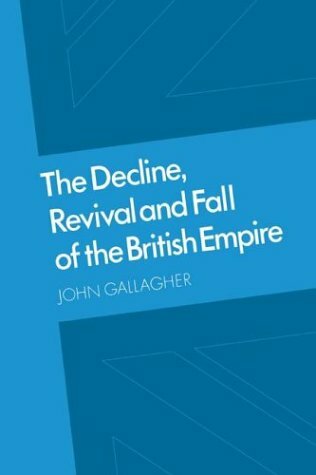 In his sharp analysis of Britain’s declining world system, Gallagher offers both a novel explanation of empire’s “discontinuous decline” and a critique of contemporary decolonization theorists. He rejects as vain the pursuit of unearthing a single domestic or international motive for imperialism, concluding instead that, “All theories of the growth of imperialism have been failures.” By extension, this assertion applies to theories of imperial collapse, freeing Gallagher to dismantle the idea that the shocks of the Second World War abruptly derailed Britain’s global system. He convincingly demonstrates that the interwar years saw little agitation in domestic politics for ending empire. Party politics discouraged efforts for total withdrawal from the colonies and encouraged a sort of imperial status quo. Labour Prime Minister Ramsay MacDonald and his Conservative counterparts Andrew Bonar Law and Stanley Baldwin equally sustained a flexible empire during their tenures. The “official mind” of Whitehall propelled the empire along during these years, chiefly because the world system supported Britain’s interests and colonized peoples – and not the British public – footed the bill. 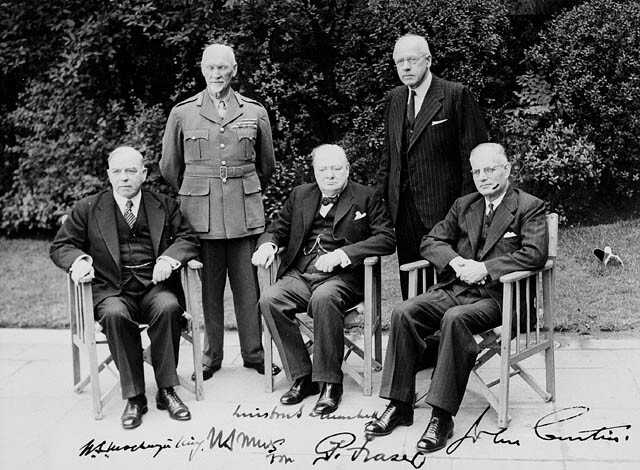 Only when Britain energized the structures of empire to meet the challenges of the Second World War did empire see a resurgence that also spelled its doom. Gallagher strays somewhat from his denunciation of a monocausal theory of imperial collapse in his assertion that empire’s price tag became too much for the British public to bear during the 1940s. He admirably demonstrates domestic and international considerations that played off one another and the disadvantages of formal rule compared to a system of influence. A single smoking gun emerges, however, in the material conditions shaping public opinion within Britain. In spite of this small flaw, Gallagher successfully paints imperial decline as highly contingent upon changing economic and political circumstances. Commonwealth Prime Ministers’ Conference. (Left to right): Rt. Hon. W.L. Mackenzie King (Canada), General Jan Christian Smuts (South Africa), Rt. Hon. Winston Churchill (United Kingdom), Rt. Hons. Peter Fraser (New Zealand), John Curtin (Australia),” London, 1 May, 1944. William Roger Louis, a UT historian of British Imperialism, wrote a piece about his professional and personal relationship with John A. Gallagher for the American Historical Association. You can read it here. Jack Loveridge’s review of “Wavell: the Viceroy’s Journal,” along with his review of the biography of Jawaharlal Nehru.